The Majestic Colonial is an expansive resort nestled between rich flora. It offers Caribbean decor throughout the resort complimented by the soft sands of Bavaro Beach. 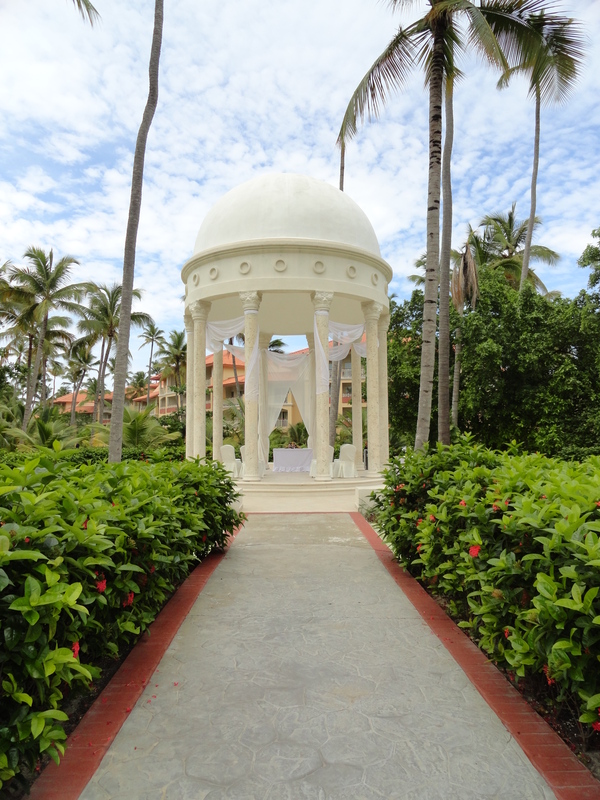 A Majestic Colonial wedding is perfect for couples looking to share their special day surrounded by lush vegetation, golden sands, and the sounds of the sea. The Majestic Colonial makes a perfect family-friendly wedding destination, including a stand-out kids’ club with water slides. There’s a variety of activities to entertain any wedding guest including watersports, casino, nightclub, late-night snack bar and more! Many destination weddings happen at the Colonial, so service is tailored to serve them. 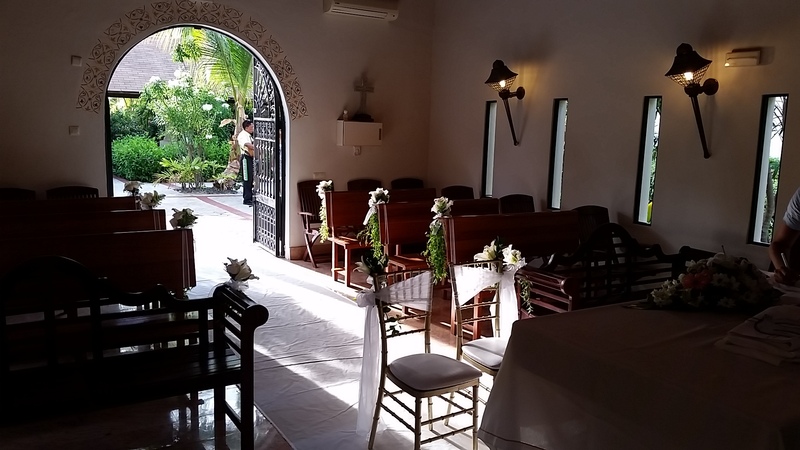 The chapel is able to accommodate Catholic wedding ceremonies. The Majestic Colonial offer a standard wedding package at $1250 for symbolic or $1750 for civil or Catholic. There’s an additional charge after 60 guests. In order to qualify for a free wedding package, there must be a purchase of 15 rooms for a 7 night stay or total of 105 room nights between the group. Upgraded packages, additional guests, and add-ons are available for an additional cost. $125 – $185 average price per person per night. Rooms include 24-hour room service, daily mini-bar replacement, and jacuzzis. Children 2 and under are free. There are 658 rooms split between family section and the adults-only Colonial Club options. The Colonial Club offers private lazy river pool and separate lounge for snacks and drinks. Room options include direct pool access, garden, and ocean views. This property is great for mobility impaired guests. 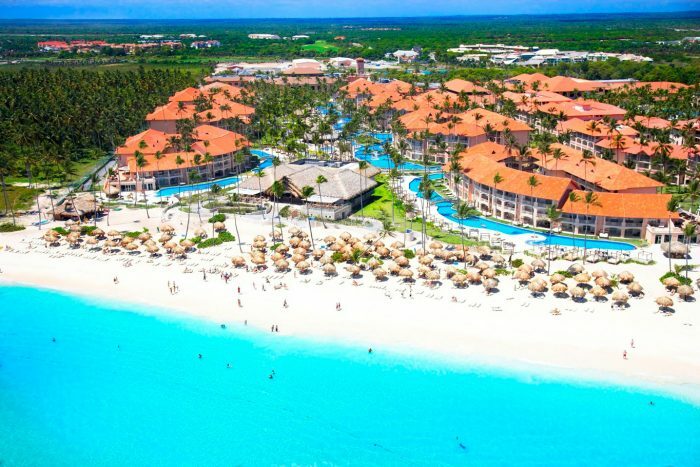 Majestic Colonial shares amenities with the other two neighboring Majestic properties, including the sports bar, late-night snack bar, and nightclub, but the resorts do not have exchange privileges. Wedding couple has access to a bracelet with some exchange privileges to all 3 Majestic resorts, such as access to all of their restaurants. 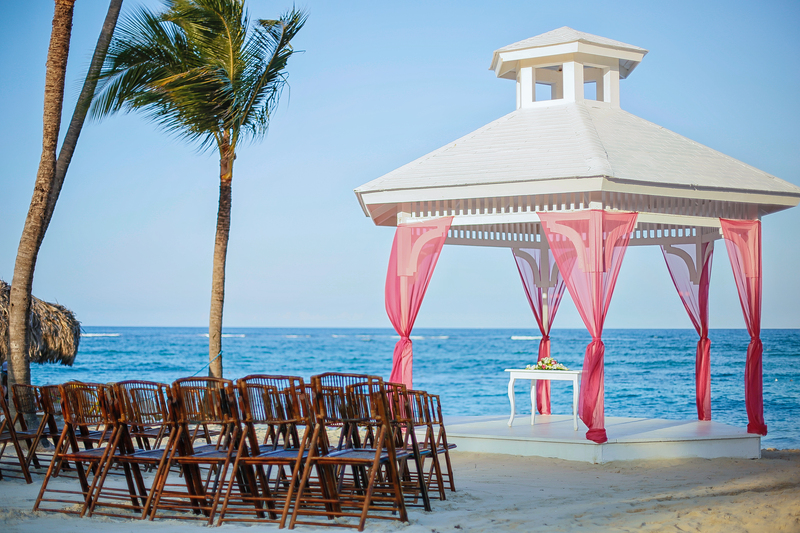 Beach – 500 guests max, Colonial Gazebo – 100 guests max, On-site Chapel – 30 guests max. High occupancy year round, but the busiest months of the year are from December 15 – August 31 and have high chances of sell out.High occupancy year round, but the busiest months of the year are from December 15 – August 31 and have high chances of sell out. A: Fast assistance on communication by email, and beautiful locations/beach, the resort staff. A: Wedding requests on the weekends are booked very fast because we do not take deposit in advance. A: The faces of gratitude on happy brides/grooms once the whole process is completed successfully. A: There was a day with a bad forecast predicted for the evening. We suggested the bride change reception location (from the beach to the ballroom) and she would not take plan B. I advised we likely wouldn’t be able to change locations last minute due to how hard it is to move everything (table, decorations, DJ, bar, etc.). It started raining very close to the reception start time and as the couple got very nervous we were asked to change locations. Thanks to every person involved in the reception, along with the hotel’s management and with a ton of hard work we managed to change the reception to indoors while the group was eating at the restaurant. The couple was thankful and speechless by the end of the night.